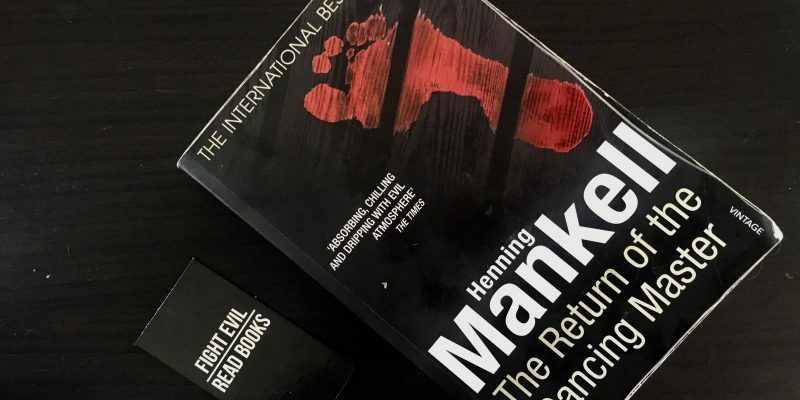 Henning Mankell was a brilliant crime writer. I absolutely love the Wallander books (and Swedish series!) so I was pleased to receive The Return of the Dancing Master as a gift. The main character, Stefan Lindman, also appears in the Wallander series. I have not figured out whether it is the same police officer though. What is it about Scandinavian writers that they are great in writing crime novels? Find out below if I enjoyed this book as much as the Wallander ones! Molin, a retired police officer, is living alone in a remote cottage in the vast forests of northern Sweden. He has two obsessions: the tango and the conviction that he is being hunted. He has no close friends, no close neighbours. By the time his body is eventually found, Molin is almost unrecognisable. Lindman, a police officer on extended sick leave, hears of the death of his former colleague and, to take his mind off his own problems, decides to involve himself in the case. What he discovers, to his horror and disbelief, is a network of evil almost unimaginable in this remote district, and one which seems impossible to link to Molin’s death. The Return of the Dancing Master starts off with a prologue in which Nazi war criminals are hanged. It gives quite a hint on where the book will head later on. The first chapter starts gruesome as well, as Molin is found brutally murdered. I was definitely curious to find out who had murdered him and why. However, I did not immediately like the main character, Stefan Lindman. He was on sick leave, due to cancer of the tongue and also a former colleague of Molin. He decided to go to the town where Molin was murdered in order to learn more about his former colleague and to investigate the case. The secluded, Molin, was murdered in a gruesome way in his house. The bloody steps showed that the murderer had danced the tango with him, a strange detail. The only evidence the police had been footsteps in the dirt and tire marks, apart from that the murder was committed meticulously. The police officer Giuseppe Larson investigated the murder and was helped by Stefan Lindman. The story revolved around both the murder and the plot, but also for a large part on Lindman — the police officer on sick leave. As he was suffering from tongue cancer, he was quite depressed and anxious. To me, the part of him being sick seems unnecessary because it did not add anything in particular other than that it allowed him to help investigate while on sick leave. When another person gets murdered, the investigators seemed to be in the dark about whether there was a connection or not. The more Lindman and Larssen discover, the more twists and turns the book has. It will keep you on the edge of your seat! Above all, it is clear that Molin is not the man Lindman thought he was. I loved the eventual plot of the book. Everything came together and I had not predicted it, although I was not fully surprised. The perfect balance of not feeling as if the plot came out of nowhere, but still surprising enough. However, the book felt somewhat long, it could have done with less than 520 pages. Perhaps some of Lindman’s personal tribulations could have been shorter. I felt that the weather was some sort of side character in the book, which was pretty cool. It was often described that there was mist, it was snowing and so on. I felt like the cold, Swedish weather was a great backdrop to the story where everything was grim. New clues, evidence and theories are revealed throughout the book, which keeps surprising you. The build-up of the book is good and it has more depth than most crime books. The Return of the Dancing Master did not surpass Henning Mankell’s Wallander series, but it sure is a great read. Although I didn’t think Stefan Lindman was extremely likeable, you do want to go on this journey with him and investigate the case. If you are into crime stories, I would definitely recommend reading this one.